If you’ve played PC games at all in the past twelve years or so, chances are you have spent at least some time in Blizzard’s World of Warcraft. The MMORPG set in the Warcraft universe over the years became more than a game, crossing the border to cultural phenomenon. In October 2010, World of Warcraft exceeded 12 million active subscribers; in January 2014, it was announced that more than 100 million accounts had been created over the game’s lifetime. However, the game has suffered a slow but sure decline in subscriptions for the last few years. Coincidentally, the interest surrounding the so-called Vanilla servers grew and many private servers were crafted with the specific purpose of bringing players back to the original formula; the idea being that the expansions have slowly made the game more casual and less satisfying. One server enjoyed a particularly strong success lately: Nostalrius. However, the official website has now been updated with dire news for those interested in the endeavor: Blizzard, via a team of lawyers, sent a cease & desist letter to the hosting company of the server with the clear intent of bringing Nostalrius down. Yesterday, we received a letter of formal notice from US and french lawyers, acting on behalf of Blizzard Entertainment, preparing to stand trial against our hosting company OVH and ourselves in less than a week now. This means the de facto end of Nostalrius under its current form. As soon as we received this letter, we decided to inform the team and players about the future of Nostalrius, where we have all passionately committed our time and energy as volunteers. Nostalrius Begins PvP, Nostalrius Begins PvE & Nostalrius TBC and all related servers will be definitively shutdown at 23:00 server time on the 10th of April 2016, if our hosting company keeps the server online for that long. It feels kind of unreal, but we want to continue to serve our players as we did, and the best we can in the remaining time. What will happen next? This time, we have no plan for the future, and will have to rely entirely on our community and/or the private server scene. 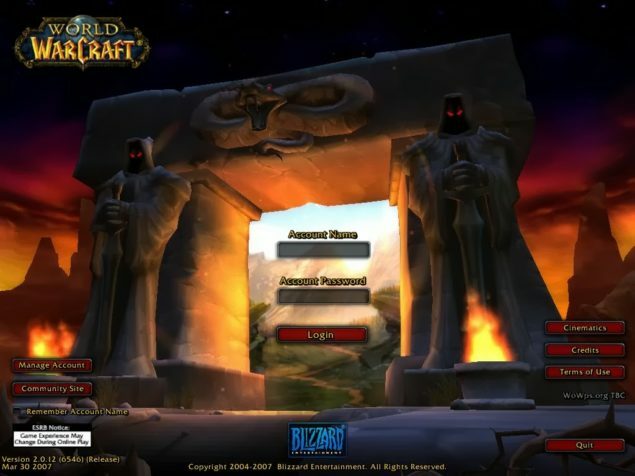 The Nostalrius team also used Change.org to address Blizzard with a petition that tries to showcase the huge interest in legacy servers. This message is written in hopes that changes may be made possible in the link between Blizzard and volunteer based legacy servers. We never saw our community as a threat for Blizzard. It sounds more like a transverse place where players can continue to enjoy old World of Warcraft’s games no longer available, maybe until a new expansion appears; a huge and powerful community of fans that remains attached to future Blizzard games, as we have in no other gaming company. We don’t have the pretention to come up with a complete solution regarding legacy servers that you and your company didn’t already think about, but we’d be glad and honored to share it with you if you’re interested, still on a volunteer basis. Do you think that a policy change can be made regarding legacy servers based on volunteers work, for very old no longer supported game expansion? Or do you think that legacy servers are doomed by definition since, in the end, it’s hurting Blizzard trademark & communication more than anything else? Of course, Blizzard could just as easily create official legacy servers, but they have always denied this possibility – probably in an effort to push players to keep up with the changes brought by updates and expansions. We’ll update this story if Blizzard chooses to issue an official response.